“Flex Frame” Design … All of Aspen’s trailer frames are designed with flexing in mind which allows the frame to flex in all of the right places to allow frame deflection without breaking in key areas of the trailer. The flexing is made possible by industry driven, intelligent design and the use of high grade steel (100- 130 KSI) to ensure many years of low maintenance trailer use. 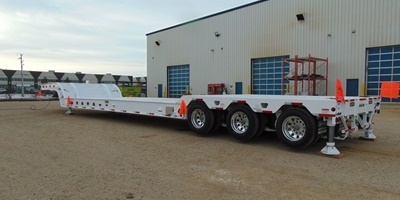 Aspen’s range of Original Equipment Manufacturer (OEM) trailers allows you to have the right combination of designed components and low tare weight trailers specific to your hauling challenge. 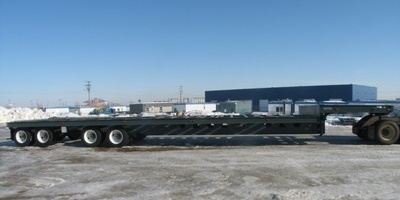 No matter what the equipment configuration or hauling challenge you can be assured that Aspen can design and build the right trailer(s) for your specific needs. 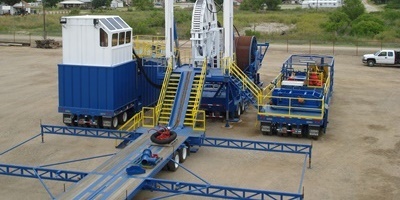 Aspen has designed and built hundreds of OEM trailers over its history … ask us about some of the applications we’ve worked in and for some customer testimonials about how Aspen has been able to build to each customers exacting specifications and requirements. Aspen’s OEM trailers are customized to match your exacting mounted equipment requirements with customization of those critical issues that need that personal touch or customization.